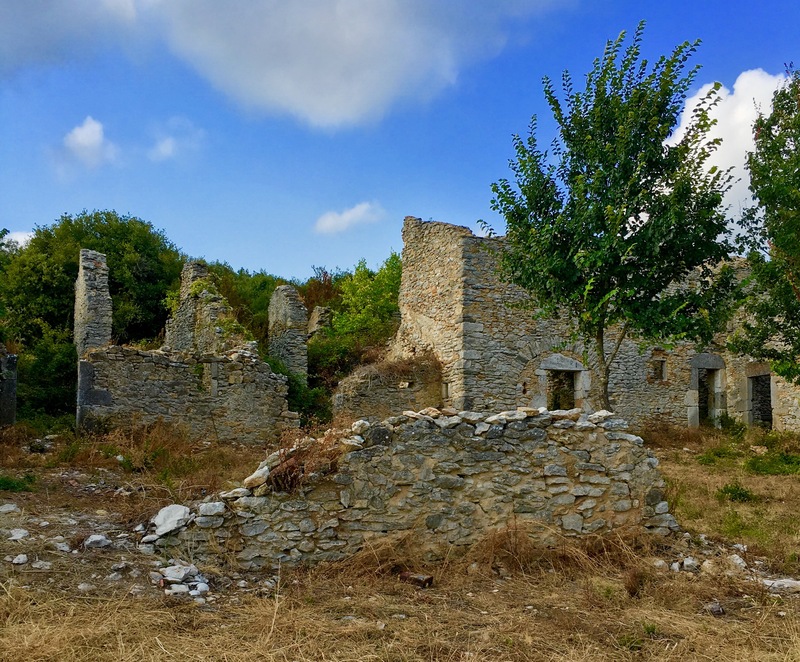 The Minervois, a region of the Haute Langue D’Oc famous for its wine, is so rich in beauty, history, wine and gastronomy that it is impossible to cover it one short, sweet post (or 100 posts). Instead, I will share one dazzling day I spent there last month. 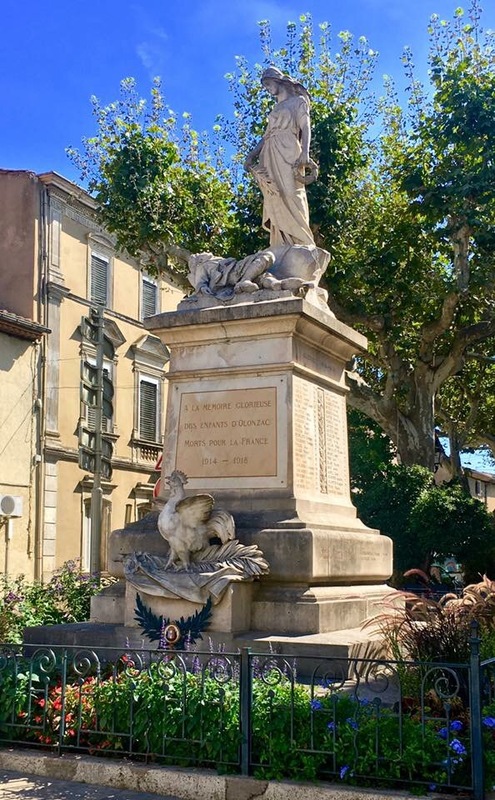 The day began with a one hour drive, gradually climbing from seaside Agde to the lively market village of Olonzac with its particularly poignant WWI era war memorial. This was one of the most beautiful French drives I’ve ever taken, and I’ve taken many beautiful drives throughout France. It stunned me, truly. 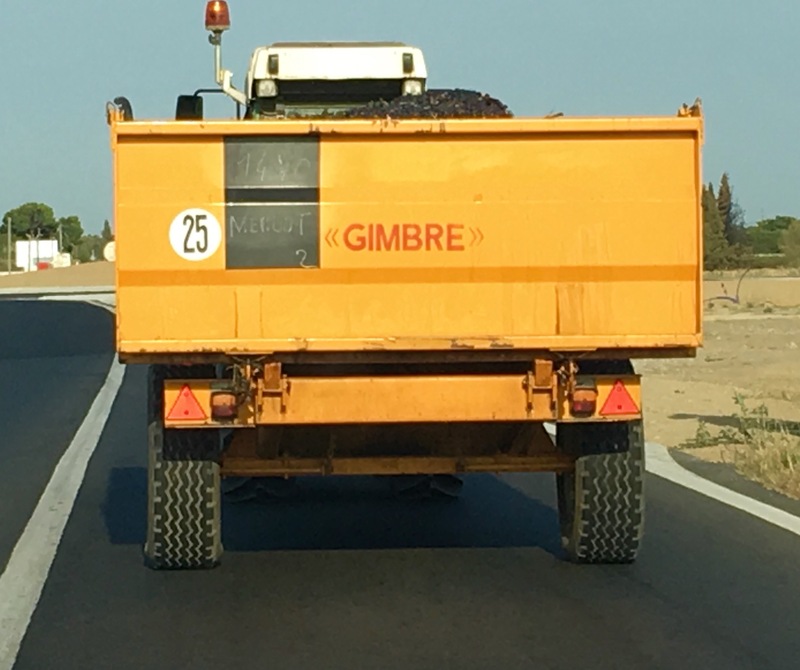 With the vendage (the annual grape harvest) underway, I often found myself behind harvest machinery and trucks laden with just-picked grapes. Given the incredible scenery all around me, I didn’t mind the delays. I stopped to admire vines set in a landscape of gently rolling vineyards interspersed with warm brown villages and church steeples for as far as one can see. 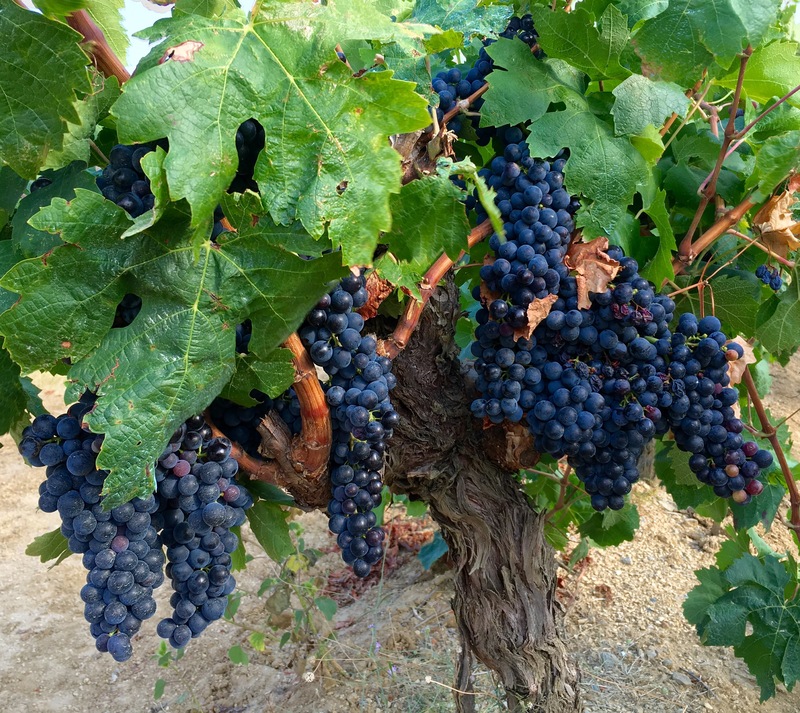 At the time of vendage, the vines are so heavily laden with grapes that seem ready to burst! 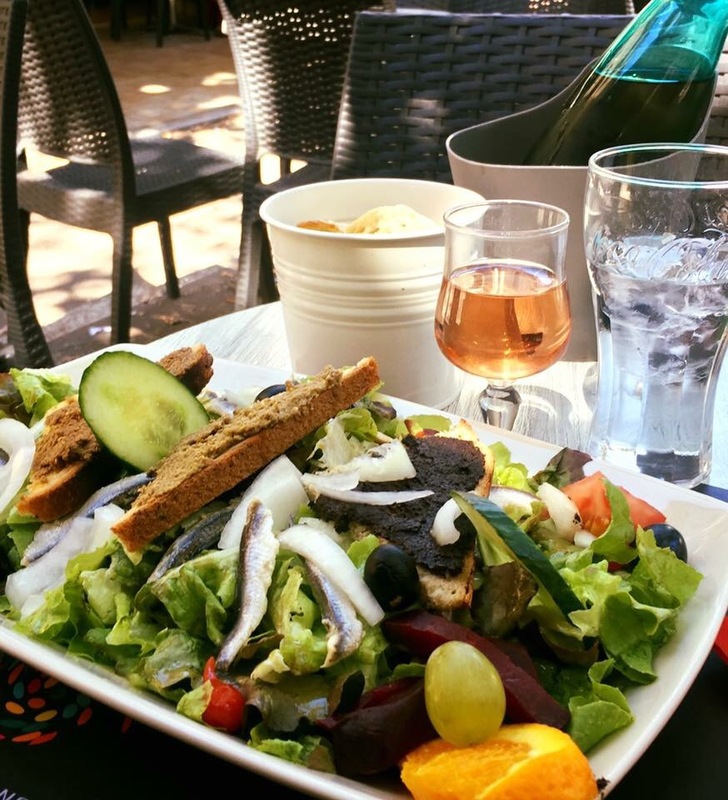 Lunch was in Olenzac, a salad of fresh anchovies and tapenade accompanied by a chilled rosé. The vendage machinery rumbled through the town and the smell of the harvest filled the air. The vendage is the most important time of year, and you can feel the excitement. After lunch, I drove upward to the ancient Cathar village of Minerve, in 1207 the site of one of the last Cathar sieges and massacres. Cathars were a threat to the power of the one Church and thus were pronounced heretics. Set high on a natural rock outcropping amongst sheer, deep ravines in a gorge carved by the river Cesse, one can easily see its fortress attributes. 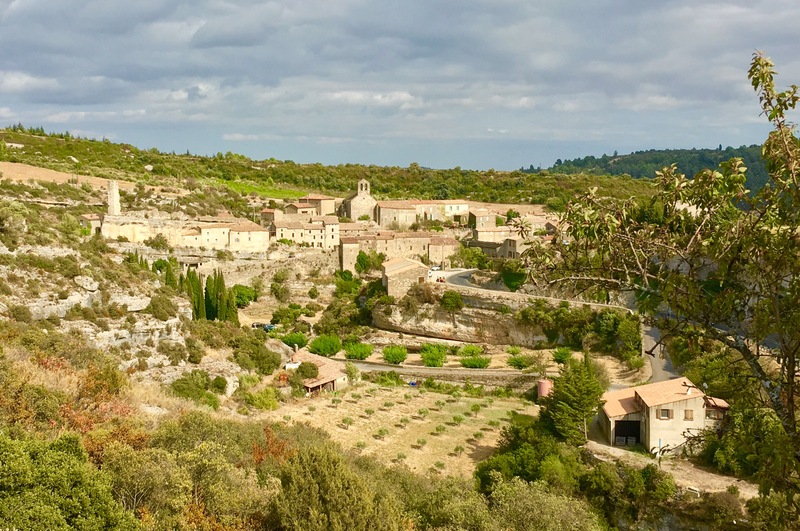 The drive to Minerve and the walk across the stone bridge spanning a deep ravine to the village (no cars allowed) is dramatic and beautiful. Leaving Minerve, I climbed higher, entering the Park Natural du Haute Languedoc. The landscape becomes more austere. Here and there lie the ruins of communal farms abandoned long, long ago. 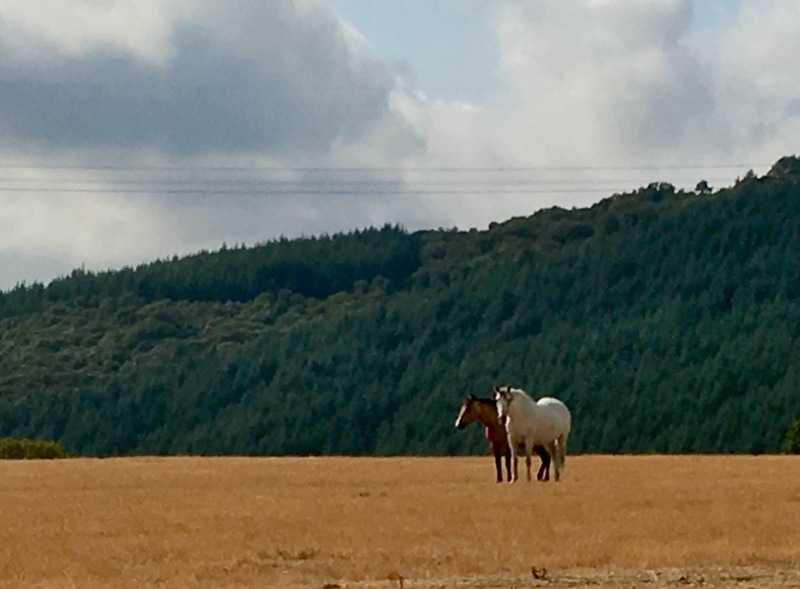 Fencing and the occasional sight of horses or cows shows that this land is still being utilized. The Parc has many well-marked trails, and I spotted a few hikers . 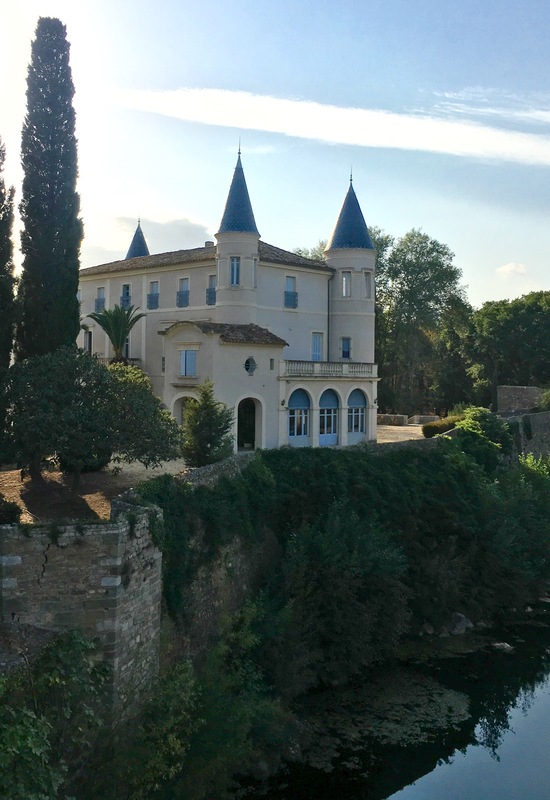 As I drove back down to the sea, I passed many lovely and graceful châteaux. 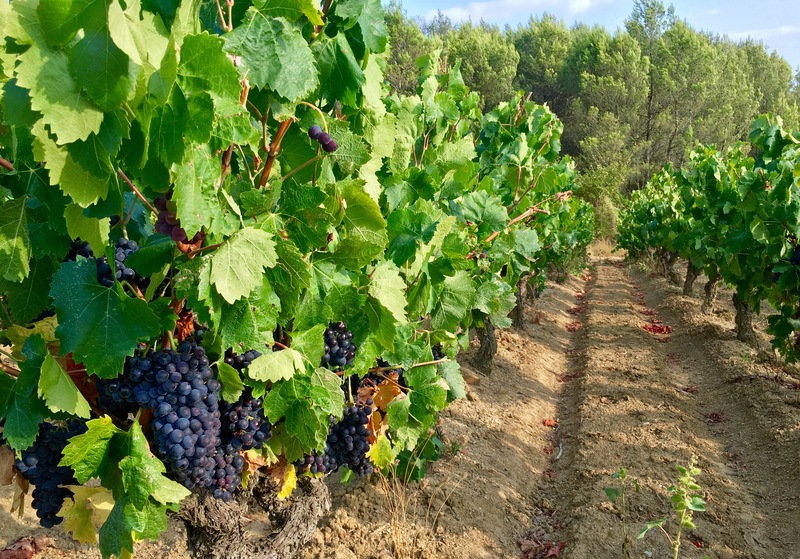 Most were built in the 18th century by vintners who grew rich on the wines of the Minervois. The downhill perspective of my return was equally enchanting. This is one drive I could never tire of!